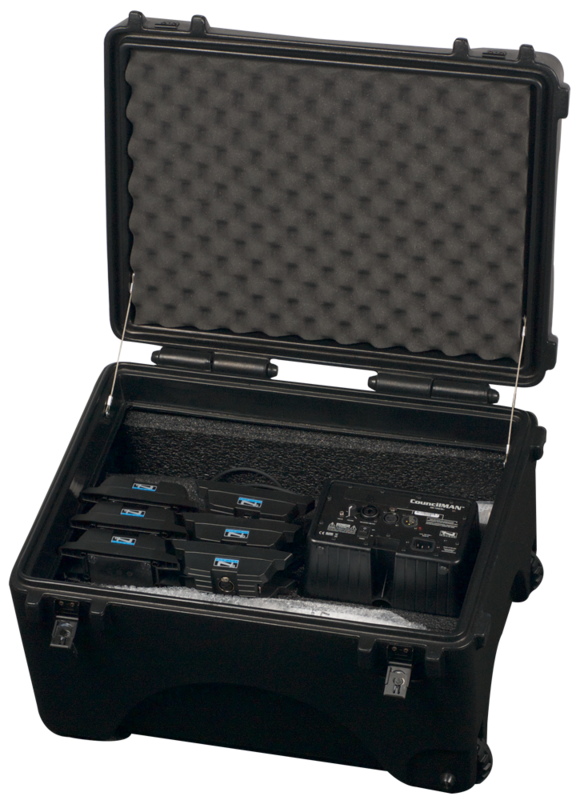 The HC-ARMOR24-CM is an Anchor Armor® rolling hard case for the CouncilMAN conference system. With a retractable handle, wheels, and foam inserts, the CouncilMAN system can safely be transported from board meetings to city council meetings with ease. Take the Anchor Audio conference system with you wherever you go and know that it is secure during transport. Not going anywhere? The Anchor Armor is also a great place to store the system in an enclosed place, so no parts are misplaced.